Thursday could feature large and damaging thunderstorms across a highly populated area Thursday. A strong cyclone will bring in warm and moist air from the south. This will fuel thunderstorm development, with large amounts of shear and instability some of the storms could be damaging. There will be a threat for large and long track tornadoes as well. 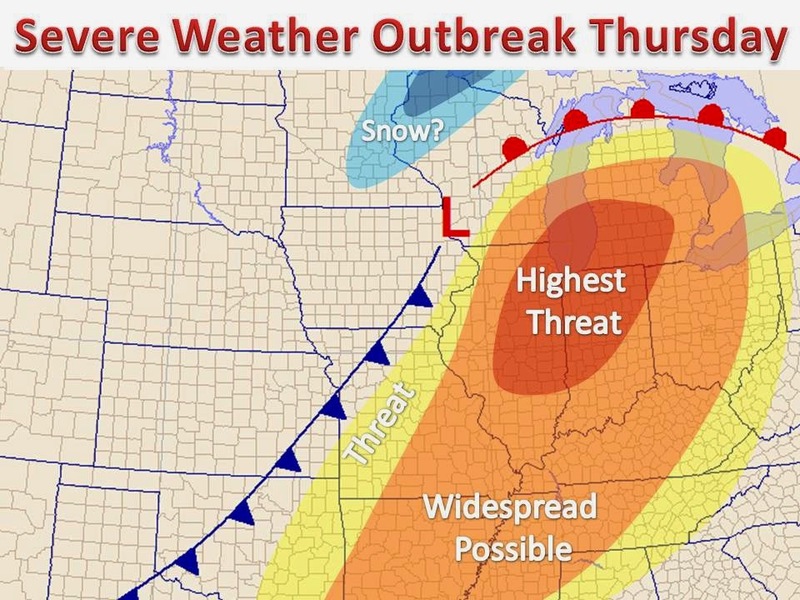 Right now it looks like the largest threat will be from the Mississippi River up toward Chicago. Be sure to watch the latest local forecasts.